Try a Pregnancy Support and Feeding Pillow for free! The dreamgenii Pregnancy Support and Feeding Pillow has been enjoyed by hundreds of thousands of women around the world and is recommended by UK Midwives! 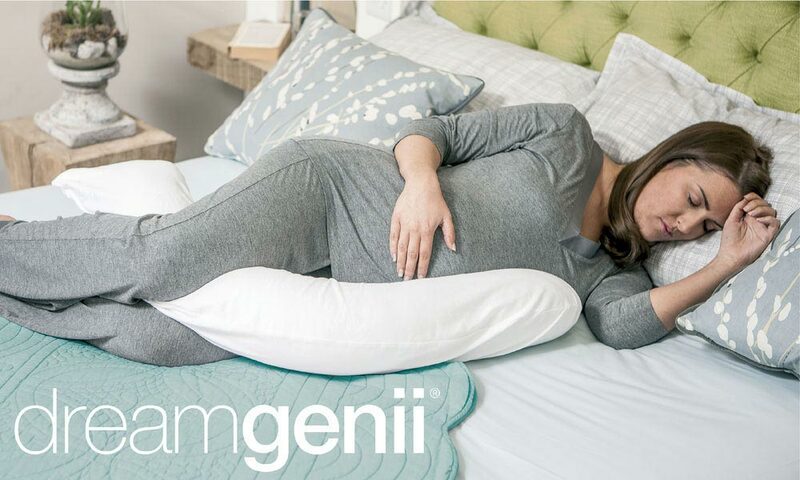 The dreamgenii Pregnancy Pillow boasts a unique patented design for Support and Feeding – this one pillow has a dual function, so you will only need to purchase one pillow to help you through a comfortable, safe pregnancy. The pillow can also be used as a feeding pillow once baby arrives. •NEW soft feel jersey cotton – for a comfortable, cosy feel. 5 Pregnancy Support and Feeding Pillows to try!